Dove Barn near Knutsford is a unique and affordable wedding venue with rustic charm. The barn can host events for up to 100-120 people, and we are licensed for civil ceremonies. We provide exclusive private use for your special day at this charming venue. With a drinks terrace and meadow overlooking Cheshire countryside, Dove Barn offers scope for outdoor activities and wonderful photo opportunities. Dove Barn is a unique wedding venue with rustic charm, situated in the heart of Cheshire, near Knutsford. 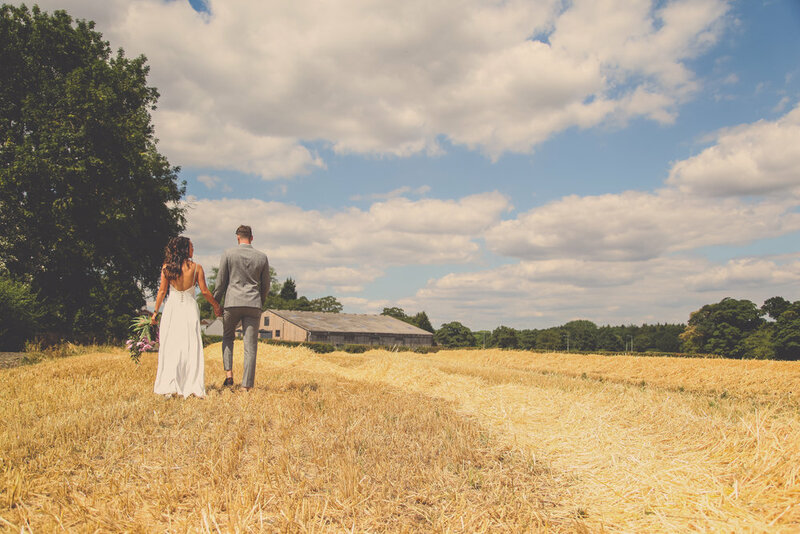 Whether you are planning a Glamorous, Romantic or Boho-style wedding, Dove Barn Weddings offer you the opportunity to explore your own creative style and theme. The barn can host events for around 80 people and is licensed for civil ceremonies. We provide exclusive private use for your special day. This is a family-run venue, situated on a former Dairy Farm, where chickens and sheep roam on the nearby paddock. With a drinks terrace and meadow overlooking Cheshire countryside, Dove Barn offers scope for outdoor activities and wonderful photo opportunities.